SEOPhalanx continues as a leading company to offer premium quality SEO services in Bhubaneswar. Started in the year of 2008, the enterprise began with a dedicated team of professionals to achieve the biggest milestones of digital marketing. Motivated with this objective, SEOPhalanx earned the trust of several domestic and international clientages. Sticking to the basics, the company comprehends the client requirements and consequently applies newest yet effective methodologies to clinch success. SEOPhalanx is also a centre for advanced SEO & Digital Marketing training institute in Bhubaneswar. The training program is such designed to educate the trainees about SEO essentials, concepts and techniques that will develop the skills complying with the industry standards. Through the career oriented SEO course in Bhubaneswar at SEOPhalanx, the trainees gain practical exposure to a variety of tools and resources utilized for Search Engine Optimization. Further, it concentrates on preparing a trainee to pursue an aspiring professional role in the industry. Opportunity to work with SEOPhalanx on live projects that enhances realistic knowledge of the trainees and grooms them for any working environment. Eligible to pursue different SEO jobs in companies throughout India. 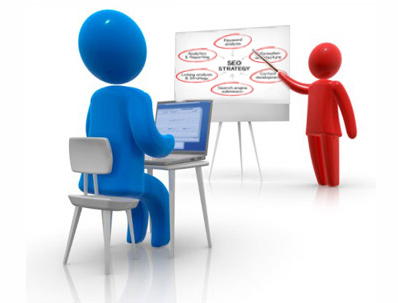 Training in modular format to teach every aspect of SEO in an effectual method. Clear insight of optimization procedures, including on-page, off-page and social media. Certification on successful completion of the training program. Eligibility: Moderate English Knowledge with basic knowledge of Computers & Internet. At the end of the SEO course Bhubaneswar at SEOPhalanx, it will conduct an exam and the trainees passing out successfully get awarded with merit certificates. Based on the trainee's performance in the exams, SEOPhalanx may decide to absorb in its own organization or assist in other campus placements. However, the company does not guarantee of placement in this or any other organization. Join the best SEO training in Bhubaneswar to achieve success in career!